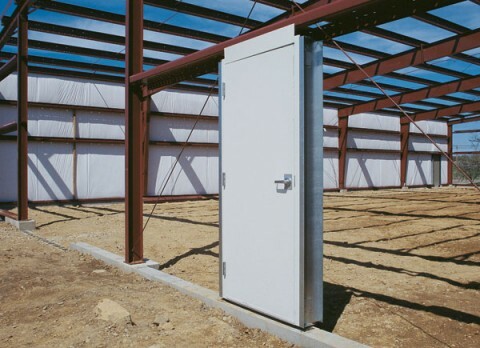 PDL’s pre-assembled steel doors are developed specifically for commercial and metal building applications. Each door, frame and hardware component has been carefully designed and selected to meet both the highest quality standards and the special installation needs of the metal building contractor and erector. Our Standard door systems include a wide array of commercial premium quality components as “standard equipment”. Click here for door leaf and frame details.